Used for Slab Edge Cutting of Marble, Limestone, Slate, Kinds of Soft Stones without quartz, Suitable for Bridge Cutting Machine, Manual Handling Cutting Machine & Table Cutting Machine. 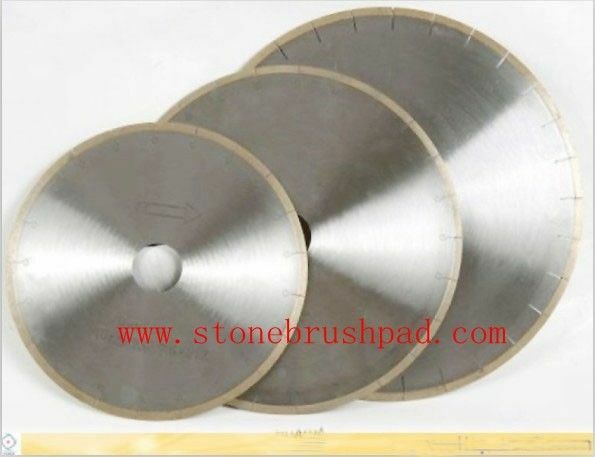 Wet use only, Fast & Easy cutting, long life, very less or no chips, perfect performance. The above specification is only for Reference, other or special specification or shapes can be ordered by customers.